(3) that defendants may take administrative steps to make sure fair discretion is exercised on an individualized basis for each renewal application. 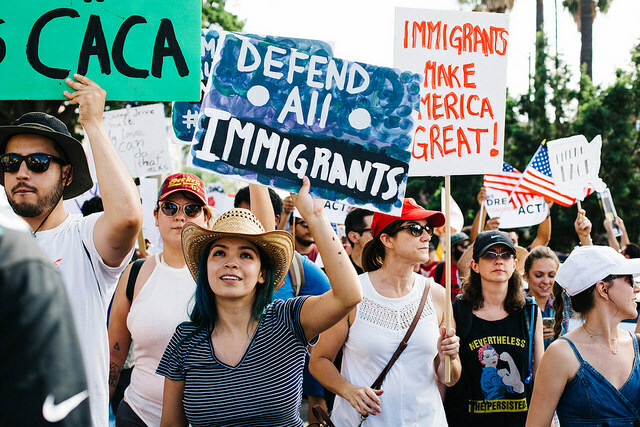 In order words, the court order only allows individuals currently receiving DACA to apply for a renewal of their DACA benefits, but it does not require the agency to accept applications from individuals who have never before applied for DACA benefits. In addition, USCIS does not need to issue advance parole to any DACA enrollee except if the agency determines it should do so according to their judgment. The ruling cautions that nothing in the court order prohibits ICE from removing any individual, including DACA enrollees, who the agency determines, poses a risk to the country’s national security or public safety, or who the agency determines should be removed from the country. In addition, the order does not bar USCIS from granting advance parole on a case-by-case basis, or granting deferred action to new individuals on an ad hoc basis. Within a reasonable period of time, the ruling orders that the Trump administration shall post a public notice that it will resume receiving DACA applications and prescribe a process that is consistent with the court order. In addition, the court order has instructed the agency to keep records of its actions on all DACA related applications and provide summary reports to the Court. We expect that USCIS will be very busy during the next few days modifying the DACA website to comply with the court order. It is also yet to be seen whether the administration will appeal the decision, and how Congress will respond.